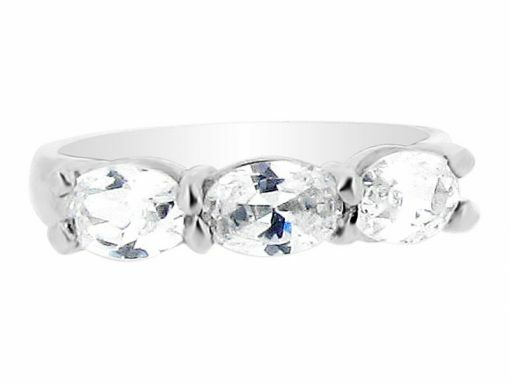 Horizontally laid oval cut diamond trilogy in clawed setting. A clever and unusual take on the classic diamond 3 stone ring, this style showcases a trilogy of oval shaped diamonds. Landscape set with sharing claws, this ring is perfect for those looking for something a little bit different. At Voltaire Diamonds, we aim to go the extra mile to help create the perfect engagement ring for you. We can create this style with the gemstones and metal of your choice. Our engagement rings can also be made to your unique diamond requirements. We specialise in providing a personalised service that helps you create a piece of jewellery that is unique to you. Please contact us to arrange an appointment at or offices where you will meet our advisors who can show you our extensive range of designs.